Will Katie Couric get a second chance on NBC? Katie Couric is looking for a new television home -- and the likely new boss at her old television home, NBC News, may be looking for her. Andy Lack, who is about to take over the news division, has already had a preliminary conversation with Couric, according to sources close to both people. Couric, the co-host of NBC's "Today" from 1991 through 2006, was the biggest female star the news division ever had. Her return -- perhaps in some sort of special correspondent role -- would be a fascinating "you can go home again" story. The sources stressed that nothing has been discussed in any detail. But the prospect of a second NBC coming for Couric is getting attention for several reasons. 1. Lack is making his own homecoming, returning to NBC after originally running the news division between 1993 and 2001. NBCUniversal chief executive Steve Burke is expected to announce Lack's appointment as news chairman on Friday. 2. Lack has a special knack for working with A-list television anchors -- he knows how to massage egos, how to manage internal rivalries, how to pair anchors and producers. A 1999 profile of Lack in Brill's Content said "a number of on-air talent and top executives have asked to link their contracts with Lack's -- saying, essentially, "I don't want to be here if it isn't Andy." And one of the stars he's stayed in touch with, through the decades, is Couric. Politico raised the possibility of Lack's return leading to Couric's return earlier this week. 3. 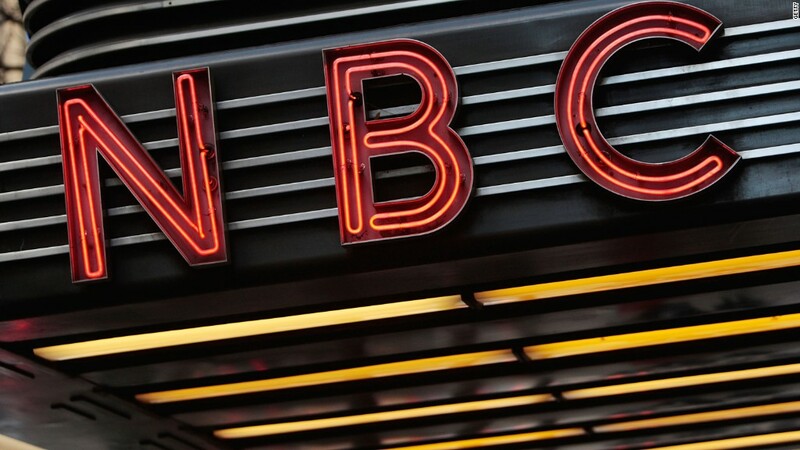 NBC is in rebuilding mode, and it might benefit from Couric's star-power. If she appeared sometimes on "Today," where her longtime co-host Matt Lauer is now paired with Savannah Guthrie, she might boost the ratings. Then again, if she is seen as a challenger to Guthrie, it might backfire. Guthrie recently renewed her contract. One of the sources cautioned that any role for Couric at NBC, if one ever materializes, would be beyond the "Today" show. 4. Couric would benefit from a high-profile TV perch. Right now she's at Yahoo News, but her work there is not as visible as it would be on NBC. Couric's years at NBC were extraordinary. Before Lack even arrived at the network, Couric and Lauer were paired at the "Today" show anchor desk and partnered with Jeff Zucker, the executive producer of the morning show. "Today" began a rating streak that was the envy of the television news world. Couric defected to CBS in 2006, where she became the anchor of the "CBS Evening News," the first woman ever to solo-anchor a nightly newscast. It was a very different job, and the CBS newscast remained in third place in the ratings. Some observers concluded that she should have stayed at NBC. "Today" has since fallen to second place behind ABC's "Good Morning America." Rejuvenating the show will be one of Lack's top priorities. But he'll have a full plate -- Brian Williams' suspension from "NBC Nightly News" takes up several plates, actually -- so no deal with Couric would happen right away. For her part, Couric is traveling and, through a spokesman, declined to comment. An NBC spokesman also declined to comment ahead of Burke's expected announcement about Lack. It's worth noting that this is not the first time that Couric and her representatives have contemplated an NBC reunion. In 2011, when Couric's successor on "Today," Meredith Vieira, was ready to leave the show, Lauer and Couric talked about coming together again. The idea was that they'd commit to two years on "Today," then co-host a daytime talk show. "I feel like it would have been a fun thing to reunite and to show that you can go home again," Couric told me in an interview for my book "Top of the Morning." "But I also thought, there's a reason why I left the show." No offer was ever made by NBC. Zucker and Couric ultimately teamed up to make a daytime talk show with ABC that lasted for two seasons. Couric is Yahoo's global news anchor, which means she conducts interviews and anchors special reports. She started at Yahoo about a year ago. Yahoo has an alliance with NBC's biggest rival, ABC. But Couric rarely appears on ABC. Her Yahoo (YHOO) deal enables her to do other things -- like documentaries, for instance. And that means she's in a position to consider a proposal from Lack. What she's missing, and what he could offer, is obvious: a regular outlet on TV, the medium that made Couric a household name.